Choppers Will Now Get Travellers From Chandigarh To Shimla In 20 Mins Flat! 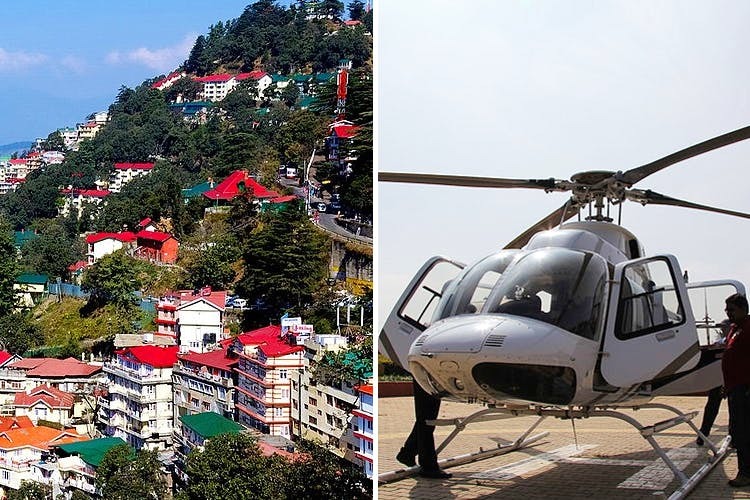 Good news for everyone planning their summer vacations: The government of HP has joined hands with Pawan Hans to resume heli-taxi services between Chandigarh and Shimla starting from June 4 (yes, they’d been discontinued a while ago). Thanks to this new service, the travel time between the two state capitals will come down from a 3-hour something drive to a 20-minute flying time. The chopper, that can seat 20 people, will take off every Monday and Friday. The starting time for passengers flying from Shimla to Chandigarh will be 8am, while those going to Shimla can board the taxi at 9am. The tickets will start at INR 2,999 per person. And, if all goes well on this heli-taxi, they might consider increasing the frequency of these rides. Are we now going to go to the hills just eat ice cream at The Mall Road? Maybe we will. We first read about this here.